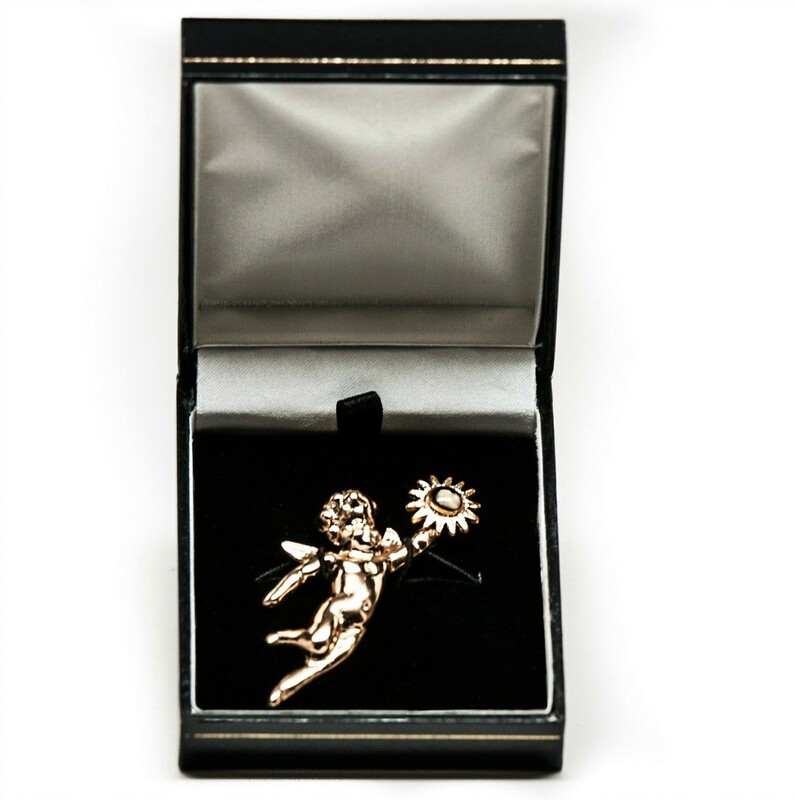 Add a gift box for an elegant presentation of your Nativity Stones Angel Broach. 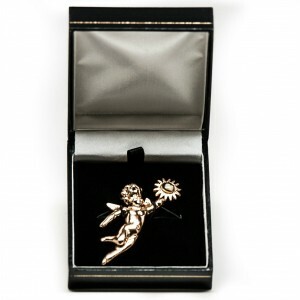 Black Leatherette Gift Box, lined in satin and velvet. Pin not included.